International franchise Cold Stone Creamery has made its debut in Madera. The chain is celebrating its 30th anniversary this year, according to its website, and offers ice cream, yogurt, sorbet and more. You can find the new shop at 1653 N. Schnoor St.
Signature creations include the Oreo Overload, Birthday Cake Remix, Chocolate Devotion, Peanut Butter Cup Perfection and more. Or create your own treat by choosing from the wide selection of toppings, including fruit, nuts, candies, brownies and more. Craving something dairy-free? Check out the lemon, raspberry, watermelon and tangerine flavors. For special occasions, ice cream cakes, pies and cupcakes are also on offer. It's still early days for the new shop -- it's got just one review on Yelp thus far. Jeremy C., whoreviewed it on June 25, wrote, "The store is pretty roomy with plenty of seating inside and out. The staff were all friendly and the ice cream cakes looked really good." 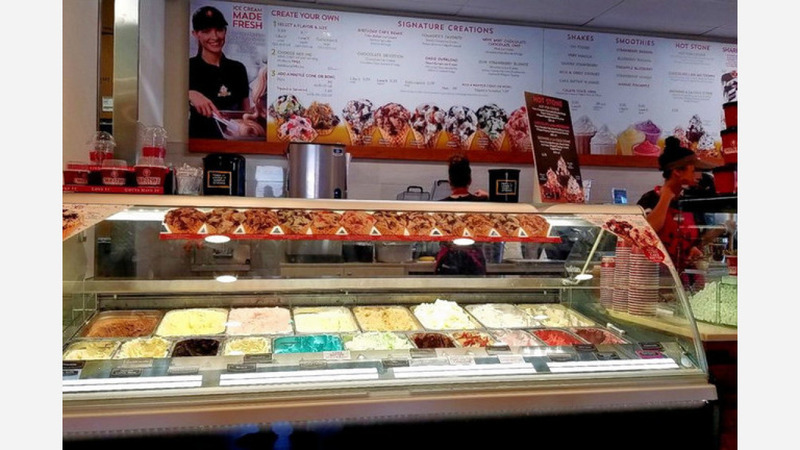 Head on over to check it out: Cold Stone Creamery is open from 11 a.m.-10 p.m. daily.